The Office of Public Works recently published a guide to restoring your home or business from the recent floods in Ireland. We suppose that almost a month after the disaster the initial restoring works like cleaning are already done, but if you still struggle with the longest process of all – drying you place, then we can help you. Here is a short guide to how to deal with remaining water or moisture in your home or business building. Air circulation is the best way to dry out a property and clear the air inside. Be patient and make sure the property is completely dry before you move back in. Do open your doors and windows to ventilate your home. 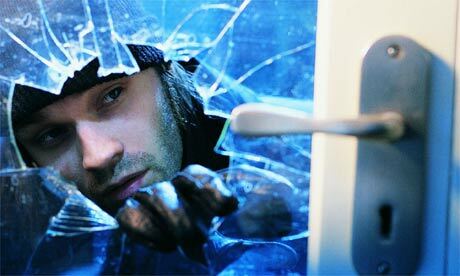 Do ensure your house is secure. Do unblock airbricks and vents. Do wash your hands with disinfectant if you came into direct contact with water. Do check external walls and the roof for structural damage before entering a property. Don’t attempt to turn on any services until they have been checked by an expert. Don’t attempt to move any heavy or unstable objects by yourself – get help. You can allow your property to dry naturally, but that can take months. Forcing the drying process can speed it up so that it only takes a number of weeks. Whatever way you choose to dry your property, make sure that the moisture trapped within the structure of the property is removed. Sometimes the walls may feel dry on the outside but they are still damp internally. If in doubt get a professional in to ensure that your property is completely dry. If your heating has been tested by a professional and is certified safe to use, it can be turned on to help dry the house. Keep the temperature at around 20 to 22 degrees celcius. 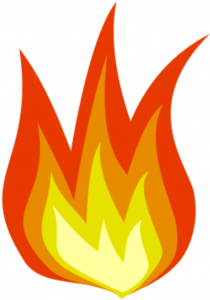 Excessive temperatures should be avoided as rapid heating may lead to cracking of plaster work, etc. Be aware that temperature alone will not dry your property. Air circulation and humidity are critical factors to consider. Good ventilation is essential so keep windows and doors open during good weather and ajar during wet weather. If you are using a dehumidifier leave external windows and doors closed, especially during wet weather. If you haven’t still contacted you insurance company for a claim settlement, you can always first refer to an expert loss assessors company like Clearys Loss Assessors. Hence, you might get an additional advice and guidance for obtaining a better settlement. At the end of October 2013 the Central bank of Ireland published a report with findings of a themed inspection into household property claims resulting from water damage.Given the increased frequency of floods in recent years the Central bank considered it important to make an inspection of the compliance with the Consumer Protection Code (the Code) between 1 July and 31 December 2012 in 10 of Ireland’s largest non-life insurer’s (approximately 90% of the Irish property insurance market). With regard to this inspection the Director of Consumer Protection, Bernard Sheridan said that the Central Bank expects all regulated insurers to work in the consumer’s best interest by selling suitable insurance policies, providing clear information and handling claims properly when they arise, directly or through a third party such as a loss adjuster. He expressed concern by the findings of this inspection which show a lack of transparency around the claims retention policy and policy terms that consumers need to be aware of at time of purchase and when making a claim. 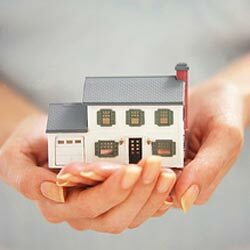 The Central bank considers that policy booklets contained a number of terms and conditions which may not be fair or transparent to consumers.”Consumers can often feel vulnerable when they experience damage to their home and that it is important that firms deal with their claims in a prompt and fair way. ” said also Mr. Sheridan. One of the most important findings from the review were that most common reasons for insurers declining claims were either no insured peril or wear and tear that had occurred to their property, e.g. the sealant on a shower tray having fractured over time. It was also noted that many consumers had withdrawn their claim on learning that an excess of up to €1,000 would be deducted from any claim settlement offer, as well as the impact that the loss of no claims bonus would have on future renewal premiums. The Central Bank also considered that insurers’ policy booklets contained a number of terms and conditions which may not be fair or transparent to consumers, and therefore insurers have been requested to review aspects of their respective policy booklets. Examples of the terms that insurers were asked to review include references to policy excess amounts or administrative fees without actually stating how much these are or where the consumer can find this information and failure to include information about retaining a portion of the settlement until after reinstatement will be a condition of the claims settlement agreement. A review of insurers’ policy booklets revealed that only one of the insurers clearly describes the practice of retentions in its policy booklet. All of the insurers have a practice whereby a retention amount may be applied to a claim settlement offer and typically the retention withheld would be between 20% and 30% of the settlement amount. In order for a retention amount to be paid, consumers are required to provide either receipts, invoices or other proof that the repairs have been fully completed. The Central Bank noted that 23% of the monetary amount of all household property (water damage) claim retentions applied by the 7 inspected insurers during 2012 were never claimed by the consumer. 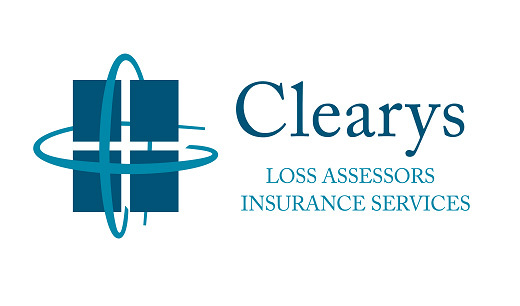 What Clearys advises you is to always read very well your insurance policy and in case you have any doubts or ambiguity, do not hesitate to contact a loss assessor. In 1980, Larry Silverstein, a successful real –estate businessman from New York, won a bid from the Port Authority of New York and New Jersey to construct building 7 of the World Trade Center, to the north of the World Trade Center site. Silverstein signed the lease on July 24, 2001. A year after the attacks Larry Silverstein mentioned in the 2002 PBS documentary “America Rebuilds,”:”I remember getting a call from the fire department, telling me that they were not sure they were gonna be able to contain the fire, and I said, ‘You know, we’ve had such a terrible loss of life, may be the smartest thing to do is to pull it’ and they made that decision to pull and then we watched the building collapse”. Larry Silverstein admits to the controlled demolition of Building 7. The insurance companies have likewise neglected to mention that after doubling his insurance coverage immediately before 9/11, Silverstein multiplied his compensation after 9/11 by claiming double indemnity. According to Silverstein’s spokesman, “the two hijacked airliners that struck the 110-story twin towers Sept. 11 were separate ‘occurrences’ for insurance purposes, entitling him to collect twice on $3.6 billion of policies.” The bizarre double-indemnity claim was approved in 2004. This trial remain one of the many mysteries in the 9/11 case. However In April 2006, after several months of negotiation aiming toward permitting reconstruction of the WTC complex Silverstein cedes his rights to Building One to the Port Authority allocating a portion of the insurance proceeds to the rebuilding of Building One in favor of the Port Authority. In return the US government issues pro-rata shares Liberty Bond funds for reconstruction of the site, part of which are allocated to Silverstein Properties for purposes of rebuilding the remaining buildings. Hence the costs to rebuild were partially covered by the Liberty Bonds and the construction of the new 7 WTC which began in May 2002 ended in 2006. Another reason you need Professional Representation! This article is from the Independent newspaper on Tuesday 22nd April, 2013 and shows how policyholders are shortchanged by Insurance Companies. Contact Clearys on 1850 28 1850 is you feel you need help with your insurance claim. What do do if you detect an oil leak from your tank or associated pipes.